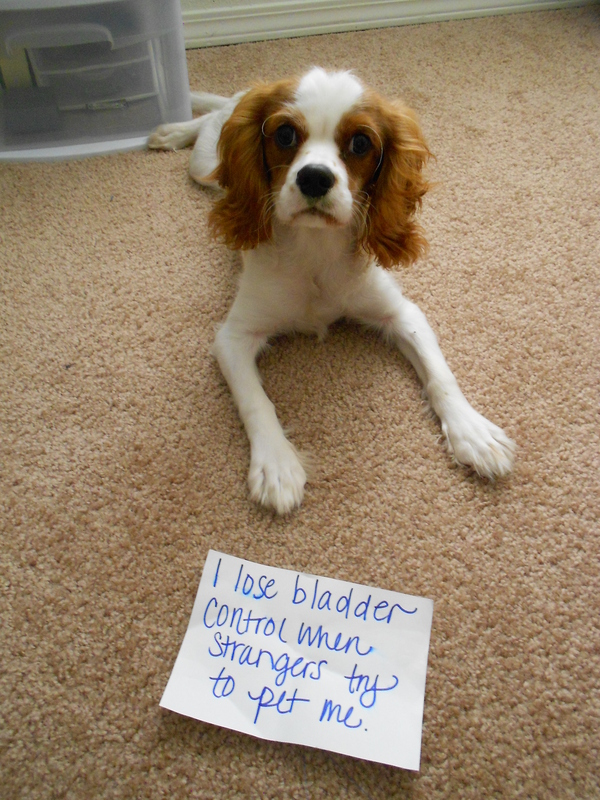 Cooper can’t control his bladder when he meets new people. I read about this somewhere (pups of a dog we used to have always lost bladder control when my dad arrived), it has to do with submission. 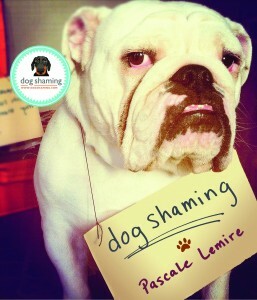 Very hard behavior to change because scolding does not work, nor do you want to reward peeing inappropriately. I would see a trainer FAST! Make sure your visitors initially ignore your dog when they come to your house. My dog will do this when greeted by a stranger entering our home-usually talking in a squeaky ‘coochy-coo voice”. If I cannot avoid the greeting I just pick him up as I greet the visitor-he never pees when being held. He is so cute! I want to smooch that perfect puppy face! My greta, a boston, used to do a few pee drops when people came to talk to her or a bit more when my hub would lean over to pet her. She’s 5 and finally grew out of it last year. I have cocker spaniels and have been told by groomers and vet this is common in cockers. Everyone knows not to touch the dogs when they first come in the house. Poor little Cooper. It’s not your fault. Yep, a squeaky voice will normally set the off. My treeing walker coonhound used to do years ago. I thought she outgrew this about 12 years ago. A neighbor (woman) came over and as soon as she used that high pitched voice, she started dribling! Gave the impression that she wasn’t housebroken too! Our Cocker Spaniel Misty did this her entire life. We learned to bring her outside to meet people so she didn’t piddle in the house. Our vet said this was a characteristic of the breed.